Recently, Bangkok Airways Public Company Limited led by Mrs. Darunee Debavalya, Senior Director - Customer Satisfaction and Relationship Management (2nd from Left) together with Mrs. Waewta Chaiyapol, Director - Customer Relations and Experience Management (3rd from Left) had the pleasure of drawing 10 lucky winners as part of the Bangkok Airways Public Company Limited Customer Satisfaction Survey 1/2018. The ceremony was held at Bangkok Airways’ Ticketing Office on Vibhavadirangsit Road. Winners are required to confirm acceptance of the prize by replying to the notification email within 16 August 2018 (30 days after the winner announcement date, 17 July 2018). This Customer Satisfaction Survey 1/2018 Invitation and Lucky Draw is for invited passengers only who flew with Bangkok Airways Company Limited (“Bangkok Airways”) between 1 January and 23 June 2018 only. 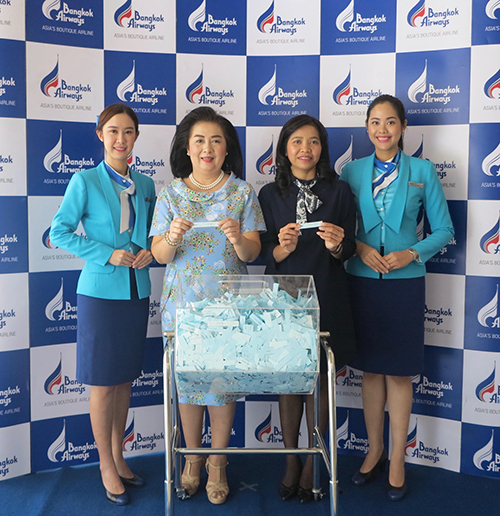 The Lucky Draw will be conducted on 5 July 2018 at Bangkok Airways Public Company Limited Head Office. Winners will be announced and posted on esurvey.bangkokair.com on 17 July 2018. Lucky Draw winners will receive an email providing further information about the prize and how to claim it. It is therefore a requirement that valid contact number(s) and e-mail address are provided. Bangkok Airways is not obligated or liable in cases whereby contact is unsuccessful and/or failed email delivery. Winners will be required to confirm acceptance of the prize by replying to the email within 30 days from the winner’s announcement date. 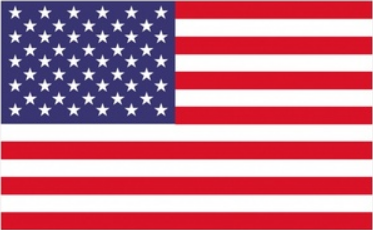 If a winner does not confirm acceptance of the prize within 30 days after the announcement, they will automatically forego the rights to claim the prize. Each winner will be eligible to receive only the highest valued prize from the Lucky Draw. Winners receiving awards valued at more than Baht 1,000 are responsible for withholding taxes (5% of the prize value). Each recipient of a round-trip flight ticket prize is responsible for payment of a THB500 ticket issuing fee and THB 200 in airport taxes. FlyerBonus complimentary points have no cash value and cannot be exchanged for cash or any kind. Terms and conditions of FlyerBonus apply. In the event that one or more winners of FlyerBonus complimentary points are not registered members, enrollment in the program and issuance of a FlyerBonus ID number must be confirmed and emailed to questionnaire@bangkokair.com within 30 days of the winners’ announcement date. If a winner fails to do so, they will automatically forego their right to claim the prize. Bangkok Airways reserves the right to draw substitute winner(s) in the event that first drawn winners are deemed ineligible for the prize. Winners must present proof of identity when claiming their prize. After the winners have been announced, each winner will receive an email notification. Please bring the notification, personal ID and house registration in order to claim the prize. The prizes offered are non-transferable and cannot be exchanged for cash or kind. All winners agree to the use of their names and images in any promotional activity following the survey. Employees of Bangkok Airways and any person directly or indirectly involved in the organization or running of the survey and lucky drawing or their direct family members are not eligible for the Lucky Draw. The reservation of the two-seat prize must be under one booking code. The lucky winner and the travel party must travel on the same flights, dates, time, and destinations. Lucky Draw winners must travel within the dates specified on the lucky winner certificate. In the event that the flight is cancelled or no longer operates the specified flight route, Bangkok Airways reserves the right to offer alternative Bangkok Airways flight arrangements. Bangkok Airways reserve the right to revise flight schedules, change, or cancel flights at any time without prior notice. Bangkok Airways reserve the rights not to reimburse and/or exchange and/or refund and/or compensate any excess payment (if any) in fare, taxes, surcharge either in form of cash or kind. By ticking the box below, you acknowledge that you have read, understand, and hereby accept all terms and conditions of this survey and Lucky Draw. In case of any dispute, the decision of Bangkok Airways Public Company Limited is final.